Krebs Custom is offering AR-15 barrels and upper receivers chambered for the 9x39, a new round promising better terminal performance than subsonic 7.62x39 or .300 BLK. As sound suppressors continue to grow in popularity, so does interest in subsonic ammunition. Subsonic ammunition is much more comfortable to fire, hence the popularity of the .300 BLK—a soft-shooting cartridge in subsonic form that has become a sort of ambassador for introducing many shooters to the benefits of both subsonic ammunition and suppressors. The success of the .300 BLK has led to interest in subsonic loadings in other popular cartridges, and now there’s a new one on tap: the 9x39. Basically a necked-up 7.62x39 but with much less taper, the 9x39 is a Russian military cartridge developed because of dissatisfaction with the terminal performance and penetration of 200-grain full-metal-jacket 7.62x39 subsonic ammunition. Due to its .447-inch base diameter and 2.2-inch overall length, it happens to fit into an AR-15. Currently, there are a number of companies working to bring AR-15 barrels, upper receivers and complete rifles to market in this caliber, and one is Krebs Custom, a company best known for its custom AK work. While Krebs Custom is planning on offering AK pistols in 9x39, it will also be selling 9x39 AR barrels and bolts, as well as complete upper receivers. I recently had the chance to handle and test one of its preproduction shop mules with a 10.5-inch barrel. While this was built simply for testing gas port size and location, as well to check functioning, I thought readers would like to check out the possibilities. The initial offering, available from Wolf, is a 278-grain full-metal-jacket boattail subsonic. The projectile features a bimetal jacket with a lead core and is loaded into Berdan-primed steel cartridge cases. 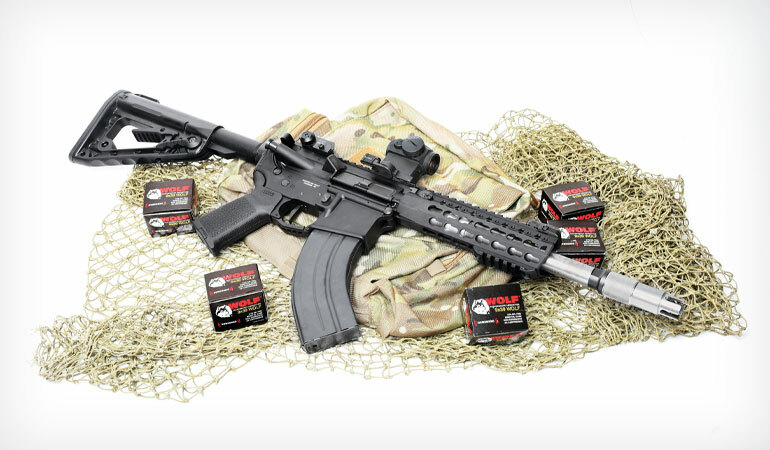 While an off-the-shelf 7.62x39 bolt will work, a standard AR pistol- or carbine-length gas system will not. So one challenge is correctly locating and sizing the gas port, and the solution is a custom-length tube. Another issue concerns feeding. Standard 5.56-pattern magazines will not work, but 7.62x39 AR-15 magazines will—to a degree. Further, the whole system needs to be timed correctly so empty cartridges are not only extracted and ejected reliably but also the bolt carrier assembly has sufficient velocity from the action spring to reliably overcome the magazine spring pressure and feed the relatively heavy cartridge. The 9x39 (c.) is based on the 7.62x39 (l.) but has less taper. The initial load features a 278-grain FMJ boattail. Another issue is barrel length. The Russian 9x39 VSS Vintorez and AS VAL rifles feature short 7.9-inch barrels. Increasing length much beyond this, using the current load, can lead to the bullet going supersonic. This produces a sonic boom, which is exactly what you are trying to avoid with subsonic ammunition. So what is a 9x39 AR actually like to shoot? It is incredibly fun, especially suppressed. With a SilencerCo Osprey 45 suppressor fitted, the 9x39 is almost movie quiet. It is pleasant to fire and be next to—even with no hearing protection. Recoil is mild, but the gun has some muzzle rise between shots. 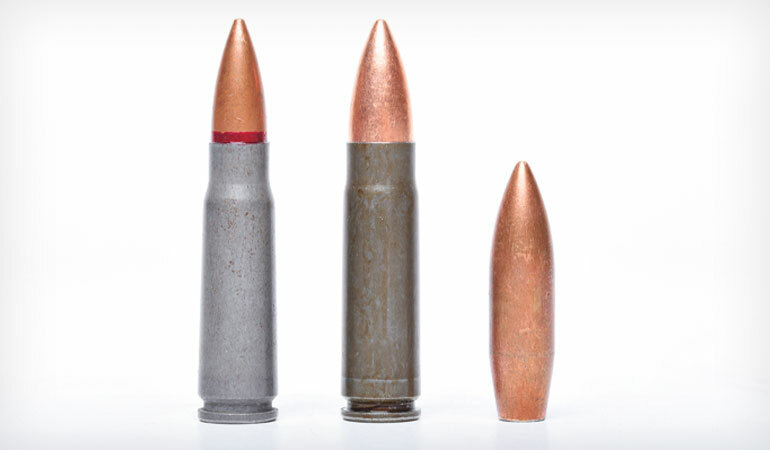 The impact of the 278-grain FMJ slug on steel at 50, 75 and 100 yards is impressive. It hits with a solid “whop” and smacks the target noticeably harder than a 230-grain .45 ACP or 208-grain .300 BLK. Making rapid multiple hits on a silhouette at 100 yards is easy. Did I say it is fun to shoot suppressed? This thing will put a smile on your face. Even though my sample was a pre-production gun, it performed well. Extraction and ejection were flawless, so it appears Marc Krebs has his gas port location and size correct. Accuracy for four five-shot groups from the bench at 100 yards averaged three inches, but Krebs said he wasn’t satisfied with that level of accuracy and plans to switch to a faster rifling twist. Velocity averaged 1,073 fps from the 10.5-inch barrel, and the ammo had a standard deviation of 7.7 and extreme spread of 27. The heavy 278-grain boattails appear to be fairly efficient. My LabRadar clocked one with a muzzle velocity of 1,060 fps, which dropped to 1,045 fps at 50 yards and 1,008 fps at 100 yards. With a muzzle velocity of 1,073 fps it develops 711 ft.-lbs. In comparison, a 208-grain .300 BLK at 1,000 fps develops 462 ft.-lbs. All is not roses, though. While 7.62x39 AR magazines function with 9x39 ammunition, I would not term them 100 percent reliable. I think a dedicated design will be required. Even so, I think the cartridge has a lot of potential. It would make a great hunting cartridge for pigs. As with any new cartridge, it will take a bit for industry to respond. I’d like to see expanding subsonic loads, supersonic loads and dedicated mags. Ammunition is currently available, and by the time you read this, AR barrels and uppers should be as well. I look forward to seeing what the future holds for the 9x39.